The models are being briefed by Ann Gouldthorpe from "His and Hers" who supplied the clothes. 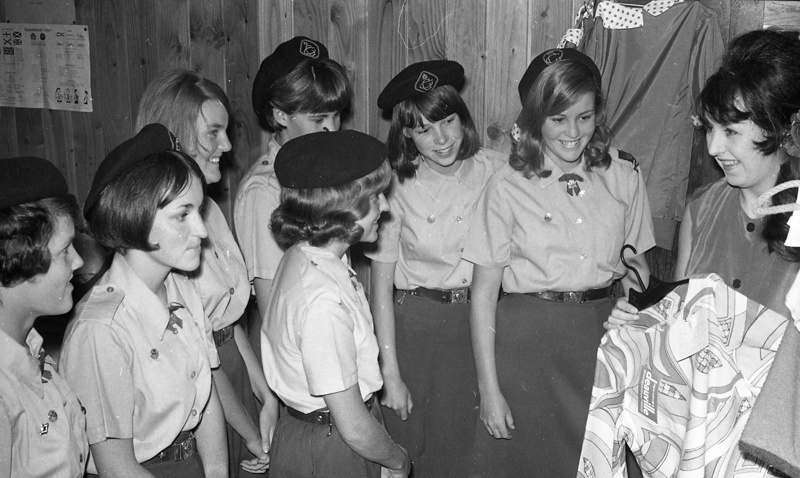 The 'models' are 'Senior Guides', a short-lived section (1960s)of the Girl Guide Association, in age between Girl Guides and Ranger Guides. Readily identifiable by light blue blouse, red-cord diamond around the GG emblem on the beret, and small red bow tie.